Chick Carter teams with crusading reporter Rusty Farrell to solve the mystery of who stole the Blue Diamond. 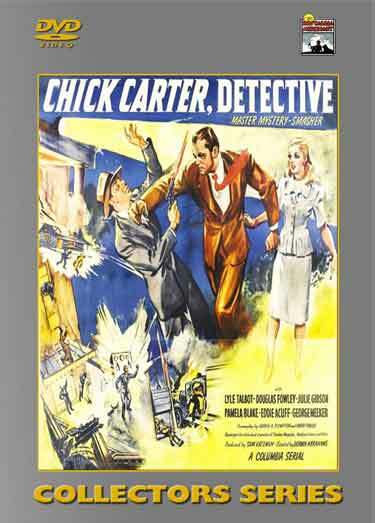 Chick Carter, Detective is a 1946 Columbia film serial. Columbia could not afford the rights to produce a Nick Carter serial so they made Chick Carter, Detective about his son instead. 2 DVDs – 15 Chapters (1946).